حسینی, محمد, زندی باغچه مریم, عباس. (1395). تحلیل پاسخ الکترومکانیک سیلندر دوار پیزوالکتریک با خواص مواد تابعی تحت میدان مغناطیسی و حرارتی. علوم و فناوری کامپوزیت, 3(1), 59-72. محمد حسینی; عباس زندی باغچه مریم. "تحلیل پاسخ الکترومکانیک سیلندر دوار پیزوالکتریک با خواص مواد تابعی تحت میدان مغناطیسی و حرارتی". علوم و فناوری کامپوزیت, 3, 1, 1395, 59-72. حسینی, محمد, زندی باغچه مریم, عباس. (1395). 'تحلیل پاسخ الکترومکانیک سیلندر دوار پیزوالکتریک با خواص مواد تابعی تحت میدان مغناطیسی و حرارتی', علوم و فناوری کامپوزیت, 3(1), pp. 59-72. حسینی, محمد, زندی باغچه مریم, عباس. تحلیل پاسخ الکترومکانیک سیلندر دوار پیزوالکتریک با خواص مواد تابعی تحت میدان مغناطیسی و حرارتی. علوم و فناوری کامپوزیت, 1395; 3(1): 59-72. در این مقاله رفتار الکترومکانیک سیلندر دوار پیزوالکتریک با خواص ماده تابعی واقع‌ شده در میدان مغناطیسی و حرارتی بررسی شده است. در این بررسی تمام خصوصیات مکانیکی، مغناطیسی، الکتریکی و حرارتی ماده پیزوالکتریک به‌صورت تابع توانی که در راستای شعاع تغییر می‌کند، در نظر گرفته شده است. با استفاده از معادله انتقال حرارت در یک بعد و با در نظرگرفتن شرط متقارن بودن سیلندر، می‌توان تغییرات دما در حالت پایا را به‌دست آورد. با بهره‌گیری از معادلات الکترودینامیکی ماکسول و در نظرگرفتن میدان مغناطیسی اولیه هم‌راستا با محور سیلندر، نیروی ناشی از آن برای حالت ناهمگن به‌دست می‌آید. با استفاده از معادلات توزیع دما در جداره سیلندر تحت شرایط مرزی در نظر گرفته شده و به‌کارگیری از روابط تعادل الکترومکانیک و با به‌دست آوردن نیروی ناشی از میدان مغناطیسی، معادله دیفرانسیل غیرهمگنی استخراج می‌شود که با روش تحلیلی حل شده است. همچنین در این مطالعه تحلیل ترمومکانیک یک سیلندر پیزوالکتریک با خواص تابعی نیز با استفاده از نرم افزار المان محدود انسیس (ANSYS) انجام شده است. با بهره گیری از روش تحلیلی و عددی و با ارائه مثال‌های عددی، تأثیر پارامتر مختلف از جمله شدت میدان مغناطیس و حرارت و ضریب ناهمگنی بر رفتار تنش و کرنش، توزیع پتانسیل الکتریکی و جابه‌جایی شعاعی سیلندر بررسی شده است. به‌منظور بررسی صحت نتایج حاصل شده، نتایج با مطالعات گذشته در زمینه سیلندر با مواد مدرج تابعی مقایسه شده‌اند. In this paper, electromechanical response analysis of a rotating piezoelectric cylinder with functionally graded material under thermomagnetic fields is presented. In this study all mechanical, magnetic, electrical and thermal piezoelectric material properties, were considered to follow an identical power law in the radial direction. Using heat transfer equation in one dimension (1D) with symmetric boundary conditions, the temperature changes in the steady-state can be achieved. According to Maxwell electrodynamics equations, Lorentz magnetic force is obtained due to the presence of an externally applied axial magnetic field. Using the equation of temperature distribution in the cylinder wall thickness under considered boundary conditions and the use of electromechanical relations by acquiring the magnetic force, inhomogeneous differential equation is derived and then solved by analytical method. Also, the ANSYS finite-element software is employed for thermo-piezo-mechanical analysis of a rotating functionally graded piezoelectric cylinder. By providing a numerical example, the effect of various parameters such as the intensity of the magnetic field and temperature and coefficient of heterogeneous material on the stress and strain behavior, electric potential distributions and radial displacement of cylinder is investigated. To validate the results, comparisons are made with the solutions for FGM cylinder available in the literature. Lim, C. and He, L., "Exact Solution of a Compositionally Graded Piezoelectric Layer under Uniform Stretch, Bending and Twisting," International Journal of Mechanical Sciences, Vol. 43, pp. 2479-2492, 2001. Liu, X. Wang, Q. and Quek, S., "Analytical Solution for Free Vibration of Piezoelectric Coupled Moderately Thick Circular Plates," International Journal of Solids and Structures, Vol. 39, pp. 2129-2151, 2002. Galic, D. and Horgan, C., "The Stress Response of Radially Polarized Rotating Piezoelectric Cylinders," Journal of Applied Mechanics, Vol. 70, pp. 426-435, 2003. Lu, P. Lee, H. and Lu, C., "An Exact Solution for Functionally Graded Piezoelectric Laminates in Cylindrical Bending," International Journal of Mechanical Sciences, Vol. 47, pp. 437-458, 2005. Tutuncu, N. and Ozturk, M., "Exact Solutions for Stresses in Functionally Graded Pressure Vessels," Composites Part B: Engineering, Vol. 32, pp. 683-686, 2001. 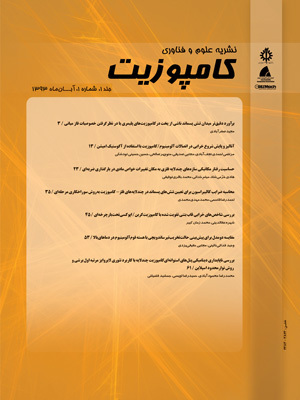 Ahmadi, I., “Analysis of Nterlaminar Stresses in Cross-Ply Composite Cylinders Subjected to Radial Loads”, In Persian, Journal of Science and Technology of Composites, Vol. 2, No. 3, pp. 43-54, 2015. Pietrzakowski, M., "Piezoelectric Control of Composite Plate Vibration: Effect of Electric Potential Distribution," Computers & Structures, Vol. 86, pp. 948-954, 2008. Reddy, J. and Chin, C., "Thermomechanical Analysis of Functionally Graded Cylinders and Plates," Journal of Thermal Stresses, Vol. 21, pp. 593-626, 1998. Ghorbanpour, A, Golabi, S. and Saadatfar, M., "Stress and Electric Potential Fields in Piezoelectric Smart Spheres," Journal of Mechanical Science and Technology, Vol. 20, pp. 1920-1933, 2006. Hosseini, S. M, Akhlaghi, M. and Shakeri, M., "Transient Heat Conduction in Functionally Graded Thick Hollow Cylinders by Analytical Method," Heat and Mass Transfer, Vol. 43, pp. 669-675, 2007. Saadatfar, M. and Razavi, A., "Piezoelectric Hollow Cylinder with Thermal Gradient," Journal of Mechanical Science and Technology, Vol. 23, pp. 45-53, 2009. Li, X. F. Peng, X. L. and Lee, K. Y., "Radially Polarized Functionally Graded Piezoelectric Hollow Cylinders as Sensors and Actuators," European Journal of Mechanics-A/Solids, Vol. 29, pp. 704-713, 2010. Shah, A. G. Mahmood, T. Naeem, M. N. Iqbal, Z. and Arshad, S. H., "Vibrations of Functionally Graded Cylindrical Shells Based on Elastic Foundations," Acta mechanica, Vol. 211, pp. 293-307, 2010. Sobhani, B. and Yas, M., "Static and Free Vibration Analyses of Continuously Graded Fiber-Reinforced Cylindrical Shells using Generalized Power-Law Distribution," Acta mechanica, Vol. 215, pp. 155-173, 2010. Nemat-Alla, M., "Reduction of Thermal Stresses by Composition Optimization of Two-Dimensional Functionally Graded Materials," Acta mechanica, Vol. 208, pp. 147-161, 2009. Sobhani, B. Hedayati, H. Farahani, E. B. and Hedayati, M., "A Novel 2-D Six-Parameter Power-Law Distribution for Free Vibration and Vibrational Displacements of Two-Dimensional Functionally Graded Fiber-Reinforced Curved Panels," European Journal of Mechanics-A/Solids, Vol. 30, pp. 865-883, 2011. Alibeigloo, A., "Thermoelastic Solution for Static Deformations of Functionally Graded Cylindrical Shell Bonded to Thin Piezoelectric Layers," Composite Structures, Vol. 93, pp. 961-972, 2011. Alibeigloo, A., "Exact Solution of an FGM Cylindrical Panel Integrated with Sensor and Actuator Layers under Thermomechanical Load," Smart Materials and Structures, Vol. 20, p. 035002, 2011. Alashti, R. A. and Khorsand, M., "Three-Dimensional Dynamo Thermo-Elastic Analysis of a Functionally Graded Cylindrical Shell with Piezoelectric Layers by DQ-FD Coupled," International Journal of Pressure Vessels and Piping, Vol. 96, pp. 49-67, 2012. Ghannad, M. Rahimi, G. and Zamani, M., "Elastic Analysis of Pressurized Thick Cylindrical Shells with Variable Thickness Made of Functionally Graded Materials." Composites Part B: Engineering, Vol.45, 388-396.‏ 2013. Jabbari, M. Sohrabpour, S. and Eslami, M., "Mechanical and Thermal Stresses in a Functionally Graded Hollow Cylinder due to Radially Symmetric Loads," International Journal of Pressure Vessels and Piping, Vol. 79, pp. 493-497, 2002. Babaei, M. and Chen, Z., "Exact Solutions for Radially Polarized and Magnetized Magnetoelectroelastic Rotating Cylinders," Smart Materials and Structures, Vol. 17, p. 025035, 2008. Ghorbanpour, A. Bakhtiari, R. Mohammadimehr, M. and Mozdianfard, M. R., "Electromagnetomechanical Responses of a Radially Polarized Rotating Functionally Graded Piezoelectric Shaft," Turkish Journal of Engineering & Environmental Sciences, Vol. 36, pp. 33-44, 2011. Ghorbanpour, A. Loghman, A. Abdollahitaheri, A. and Atabakhshian, V., "Electrothermomechanical Behavior of a Radially Polarized Rotating Functionally Graded Piezoelectric Cylinder," Journal of Mechanics of Materials and Structures, Vol. 6, pp. 869-882, 2011.